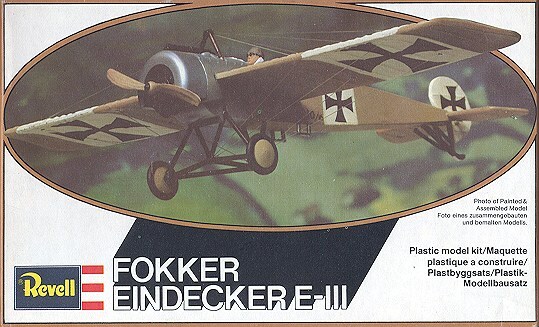 Those interested in WWI aircraft have heard of the FokkerScourge of 1915. Well, this is the aircraft about which they are speaking. Notexactly a missile laden F-15, but for its day, it was the most dangerousaircraft in the air. This was especially true when in the hands of a master suchas Oswald Boelke, one of the best known of Germany's aces early in the war. Sowhat was it that made the Eindekker such a formidable weapon. It looks very muchlike many early war planes. Well, it has to do with the position of the machinegun. Like most early war planes, it used a singe 7.92mm machine gunfor its only weapon. Before this, the gun had been aimed to the side or was usedby a rear gunner. However, Anthony Fokker managed to perfect a device thatprevented the gun from shooting off the propeller. This device was called aninterrupter. It prevented the gun from firing whenever that propeller blade wasin the line of fire. Before this, forward facing guns required the propelleritself to be covered with a metal plate, a solution that was not really thatgood. This is the Revellof Germany release from the late 1970s/early 80s. In fact, there hasn't reallybeen any widespread release of Revell's very nice WWI aircraft since that time,and it is too bad as these really are pretty nice kits. What one sees nowadays,are 1/48 kits being released from most of the Czech model makers instead. This kit is quite nice and relatively free from flash and mold marks, thoughthe pilot has a nice hole in his chest! It is in a buff plastic (undoubtedly toeliminate the need to paint it) with acceptable raised detail. Lots of parts itisn't as is typical of these older kits, but there are enough parts to make avery nice model. Interior is basically a floor, seat and pilot. That's it. 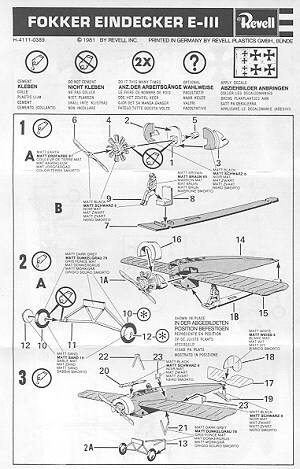 The instructions are equally as simple showing the basic construction in justa few steps as you can see to the right. Color callouts are given in theconstruction steps so you don't miss anything. I'd say that any competent 10year-old would have this kit built and on the shelf in just a few hours.However, we more mature modelers would have to take about a week or so to get itdone! 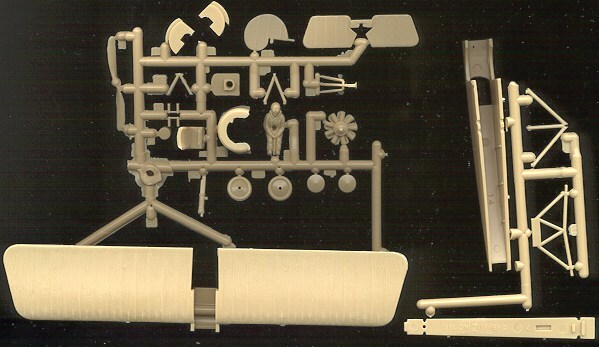 The decal sheet isfor one aircraft in natural linen with a metal engine cowling. 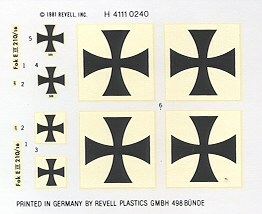 They look veryuseable, even after all these years, but are quite matte as is typical of RevellAG decal sheets. As one would expect, the lack of availability makes this a rather priceycollector's kit, worth several times what it cost back in the olden days. If youcan find one, it looks like it would be a very nice model indeed. If you would like your product reviewed fairly and fairly quickly by a site that has over 900 visits a day, please contact me or see other details in the Note toContributors.